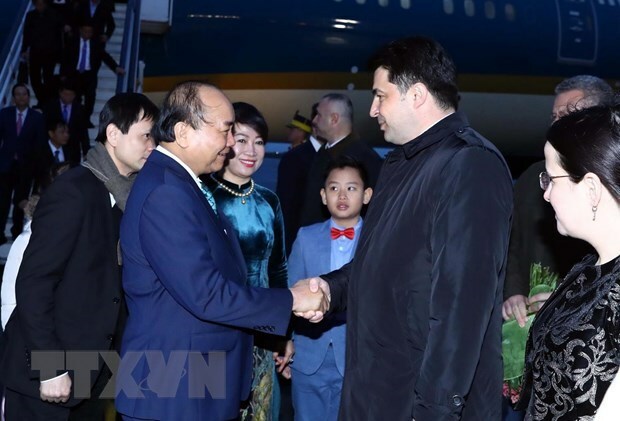 Bucharest (VNA) – Prime Minister Nguyen Xuan Phuc, his spouse and a high-ranking delegation of Vietnam arrived at Henri Coanda International Airport at 6:15am on April 14 (local time), beginning an official visit to Romania. The Vietnamese Government leader is also planned to attend and deliver a speech at the Vietnam-Romania Business Forum and the talk with representatives of Romanian localities having cooperative ties with Vietnam. 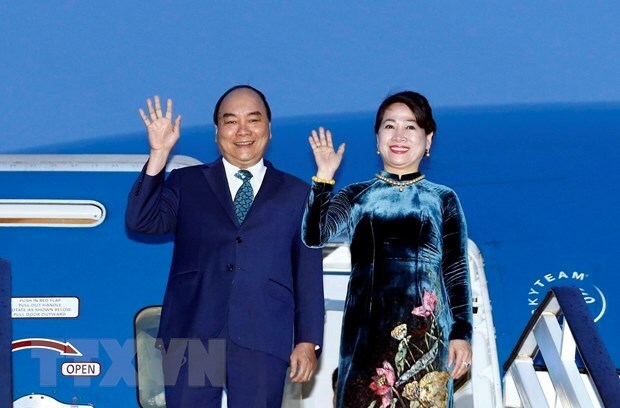 After his arrival, PM Phuc will visit Prahova where he will have a working session with its governor, and meet with the Vietnamese Embassy’s staff and representatives of the Vietnamese community in the country. Vietnam and Romania officially set up diplomatic relations in February 1950. The two countries have enjoyed growing friendship and cooperation. Both sides have worked together towards a trade revenue target of 500 million USD in the near future, instead of just 200 million USD at present. The official visit to Romania by PM Phuc and his spouse reiterates Vietnam’s consistent foreign policy of treasuring deepening the traditional friendship and cooperation with the European country in a more practical and efficient manner. President of the Senate Calin Popescu Tariceanu and President of the Chamber of Deputies Liviu Dragnea.